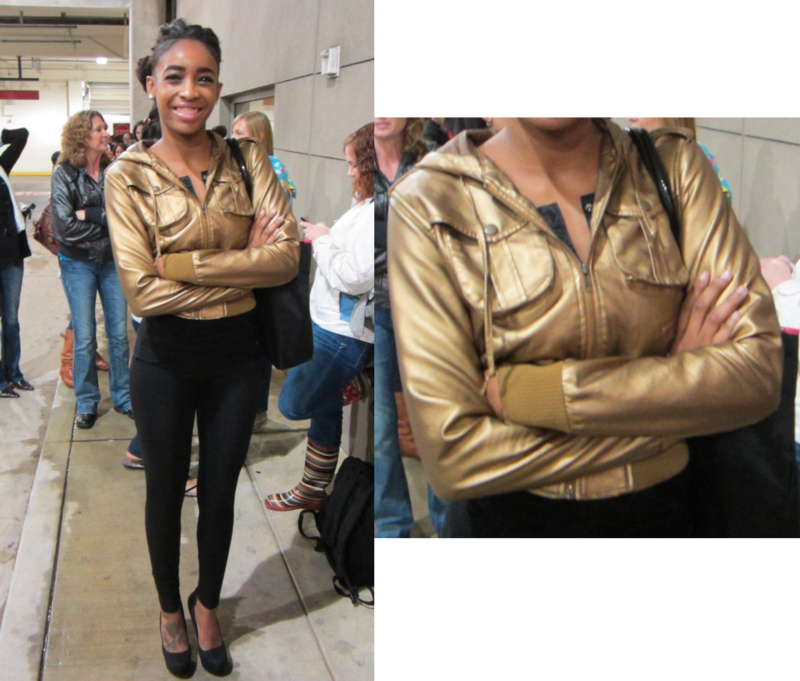 Every Stylista has been an America's Next Top Model fan at some point. Today there was a casting in Dallas for cycle 19, the College Edition! This is a really exciting idea, because I'm in college too. Tyra was so inspired to do a cycle geared toward college models because of her recent graduation from the Harvard Executive Education Program. Unfortunately, I didn't get to see Tyra (darn! 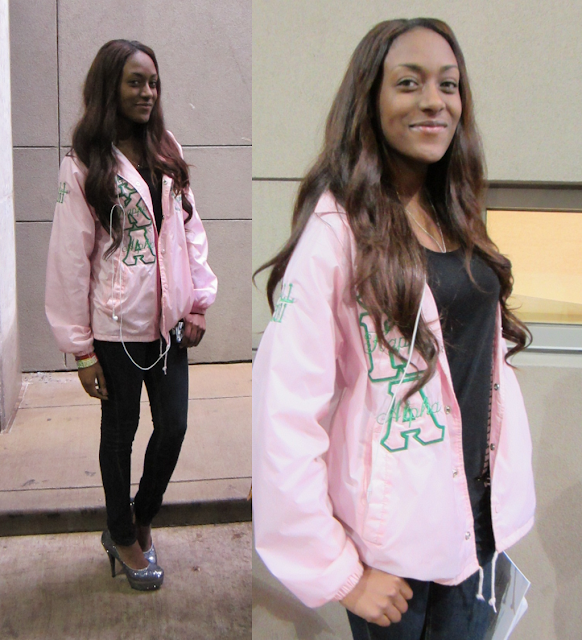 ), but I did snap some pictures of some stylish potential Top Models that I'm hoping to see on the show! These 3 girls all had great style! I love her mix of brights, especially her pink blazer. I love her preppy plaid and leopard shoes. Love her silver flats and cute coat! 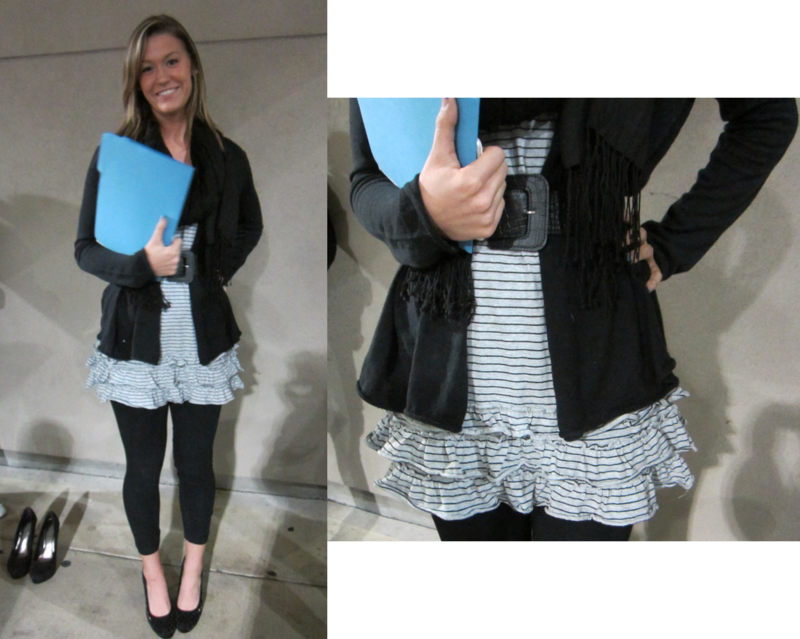 Ruffles and stripes, a great combo! She's great at mixing bold colors, POW! 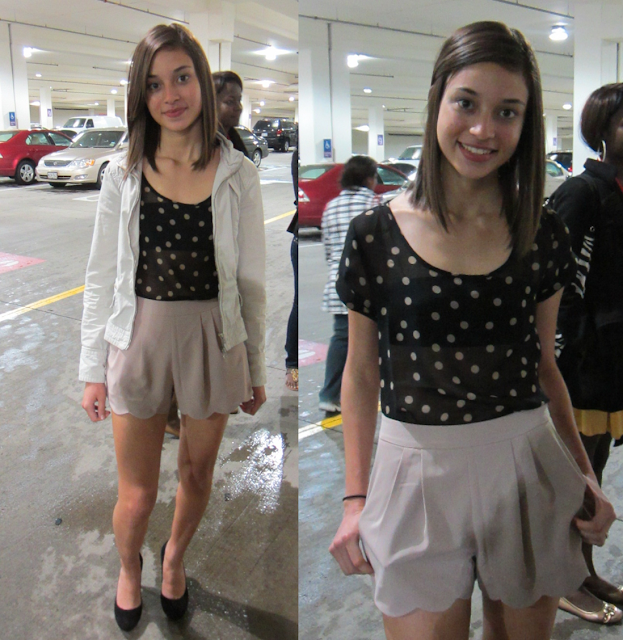 Polka dots are my favorite, and I love her scalloped shorts! Simple and chic, I love her jeans. She looks clean and chic in black and white, so cute! Her gold leather jacket is fierce! I love her pink coat. Love her super-cool collegiate look! Loved her black and white shoes! Yellow is so in right now! 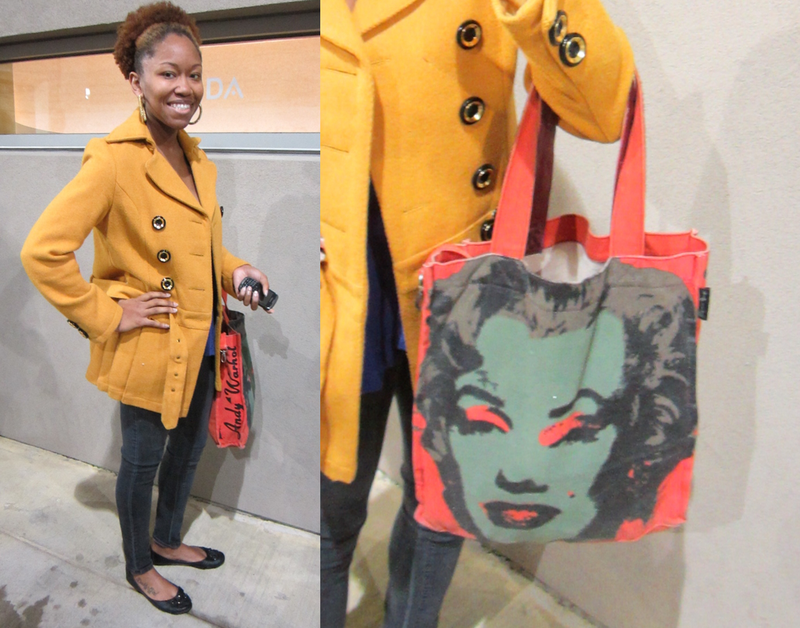 I love her bright coat and pop art purse!